Who knew a housewife and mother of five could make such a difference? Certainly not Mary Ellen McCaffree, when she took on the problem of her kids’ ill-funded schools. In this one-woman show, you’ll join Mary Ellen’s deep dive into the legislative lion’s den of redistricting. As she is thrust center stage in the fight for one person – one vote, you’ll recognize political parallels to today – dysfunction, obstruction, partisan ploys. In the end, you will be inspired by leaders firmly focused on We the People. Many Maps, One Voice, excerpted from Politics of the Possible, tracks the redistricting journey of Mary Ellen McCaffree, played by veteran stage actress Jane Fellows. 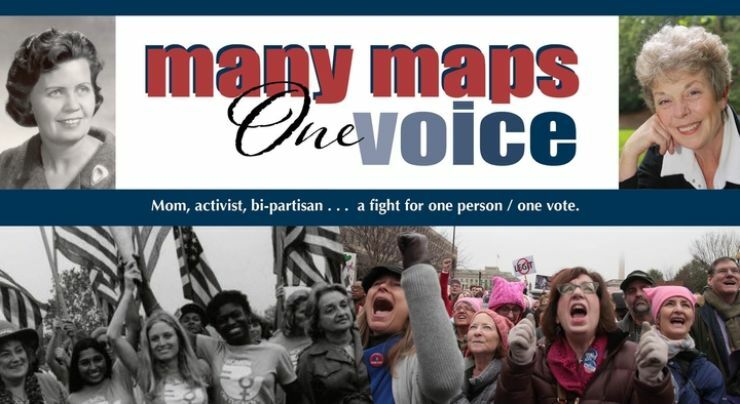 Many Maps is a call to civic engagement, citizen action and civility in the ongoing voting rights fight inherent in the census and redistricting. 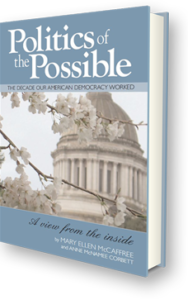 Mary Ellen’s unexpected journey will inspire you to join the fresh voices rising today. On your mark, pick your passion, GO! Many Maps is adapted from the book Politics of the Possible by Mary Ellen McCaffree and Anne McNamee Corbett. Student, Senior, and Military $5 discounts available.